Police in Seattle have launched a YouTube channel to share officer body camera footage with the public, while using software written by local developers to blur and redact the videos in a bid to protect privacy. Facing a flood of requests for public disclosure, the Seattle Police Department (SPD) was at a loss on how to efficiently redact the videos in order to protect the privacy of both officers and suspects. According to a Seattle Times report, the SPD has collected more than 1.5 million videos – 364 terabytes – over the past five years. The software currently being tested was conceived during the December 2014 'hackathon,' following the SPD’s call for help to local tech talent. Initial videos uploaded to the channel (SPD BodyWornVideo) were taken at the Martin Luther King Jr. Day protest. 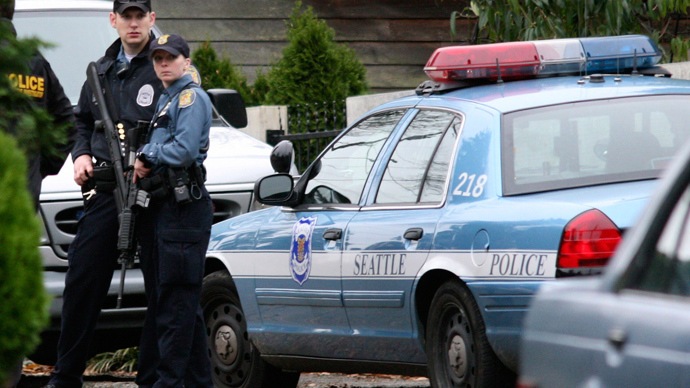 Seattle plans to eventually outfit 1,000 officers with body cameras. The US Department of Justice has approached Mike Wagers, the SPD’s chief operating officer, to work with law enforcement agencies around the country in developing policies for releasing body camera footage. As concerns rise over police conduct following last year’s deaths of Michael Brown in Ferguson, Missouri and Eric Garner in New York, police departments around the country have resorted to equipping officers with body cameras. A study published in late 2014 suggested that the use of body cameras reduced both police violence and citizen complaints. The study found that officers who weren't wearing cameras were twice as likely to use force than those who were. In December 2014, the Los Angeles Police Department announced plans to outfit all of its officers with body cameras over the course of 2015. Cleveland Police launched a limited bodycam program earlier this month.